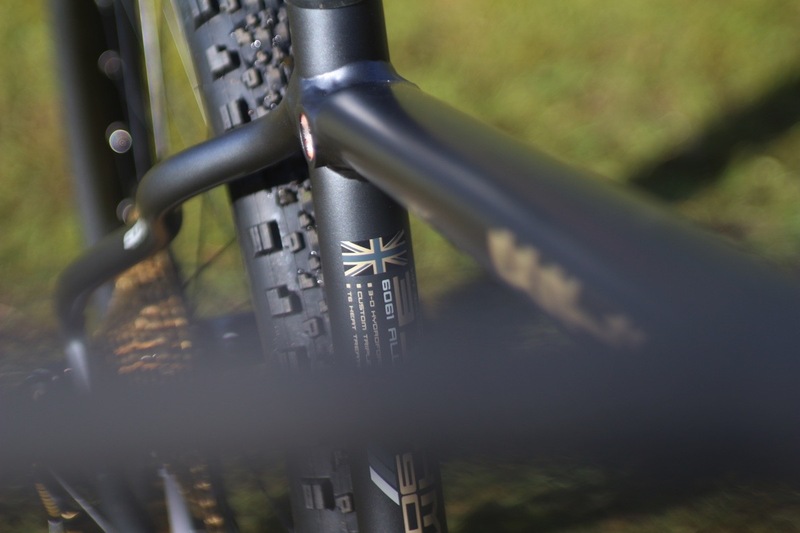 For those who have experienced it firsthand for themselves before, there really is nothing quite as satisfying as going through the process of a full custom bike build. 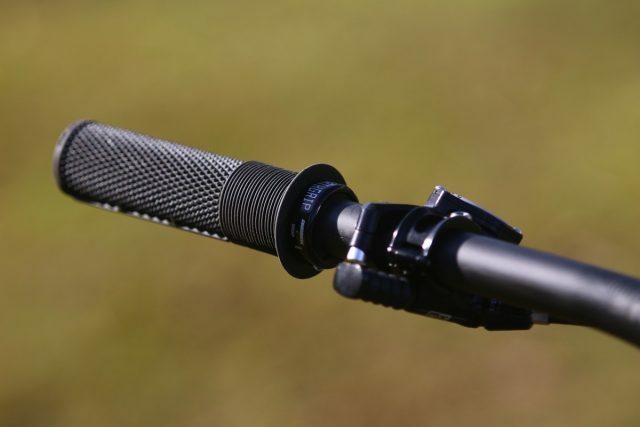 It may take a significantly larger investment of time compared to just walking into a bike shop and picking up a whole bike, but for those of us who are particular about the finer details, it’s time well spent. 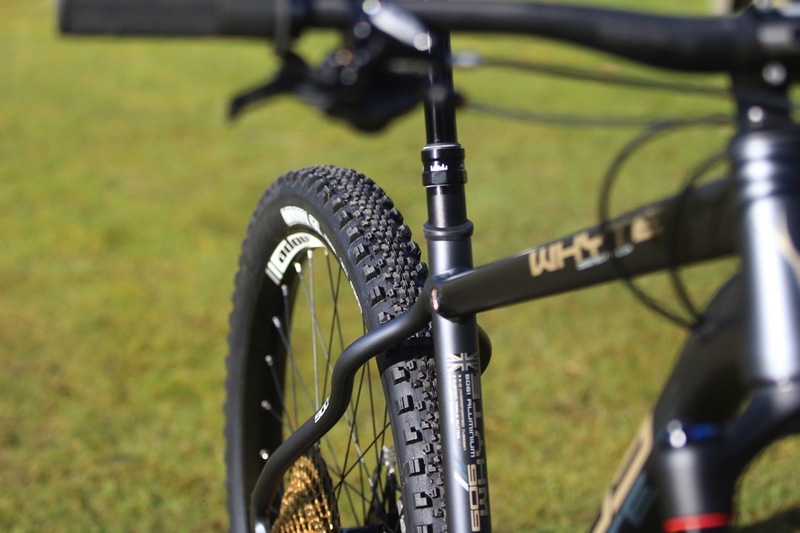 For this bike check, we chat with Whyte Bike’s Neil Halcrow, about an uber-stealth hardtail build that he’s recently completed. It’s a 2017 Whyte 909 hardtail, but it ain’t no stock build. 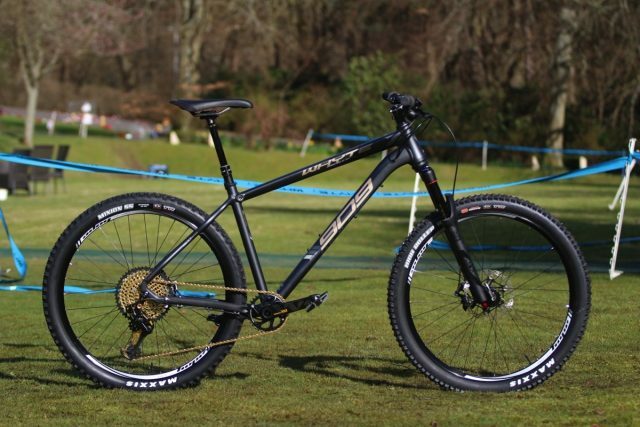 Neil’s build is based around a Whyte 909 frame. Technically the 909 is only available as a complete bike and isn’t an aftermarket option on its own, but when you work for a bike company, you can usually pull a few strings to make these things happen. For those of you who know Neil or have met him before, you’ll be aware that he’s an absolute shredder on two wheels. He’s heavily involved in the British mountain biking race scene, being both a racer and manager for the Whyte Enduro Team. 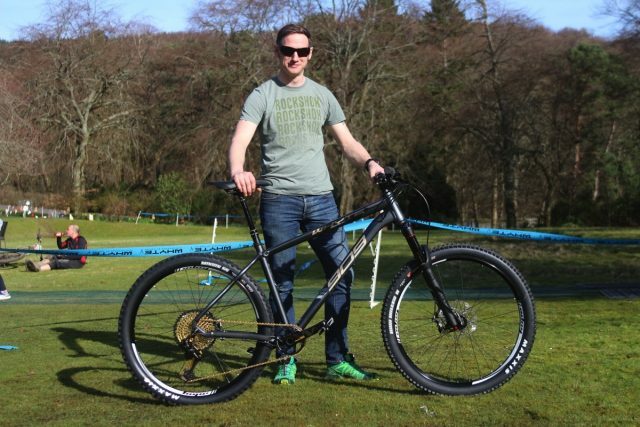 And it was at the most recent TweedLove Whyte Vallelujah Enduro that we caught up with Neil to get a closer look at his new hardtail, and to find out how he’s set it up for his personal riding style. Mr Neil Halcrow, on Team Manager duty at the TweedLove Whyte Valleluljah Enduro race. ST: Alrighty Neil! Tell the folks who you are, what you do and who you work for. 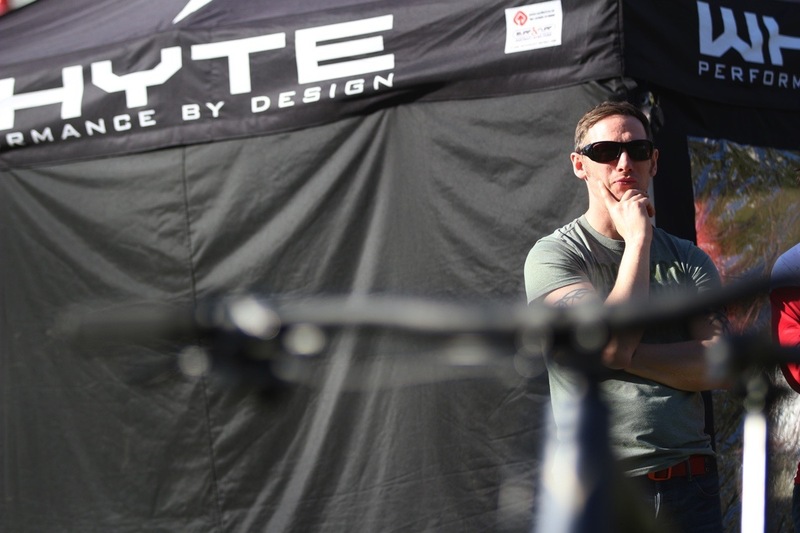 NH: My name is Neil Halcrow and I’m a sales and training manager for Whyte Bikes, plus team manager and racer on the Whyte Enduro Team. 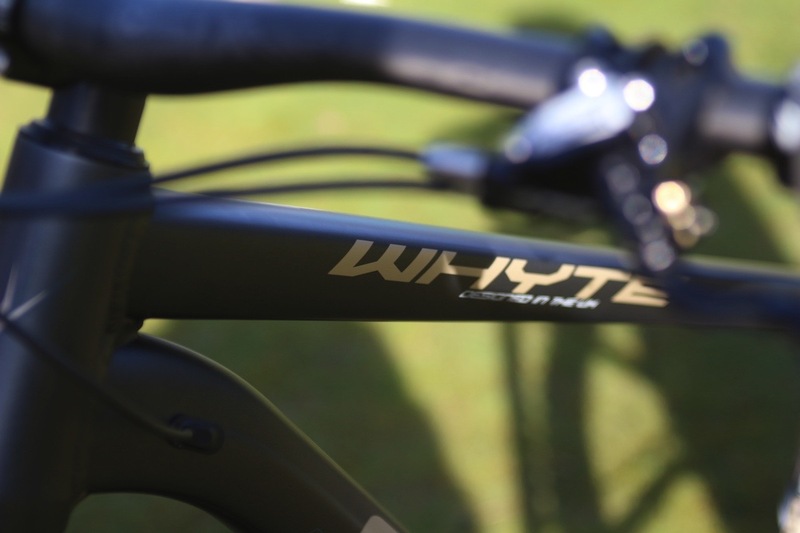 British brand Whyte bikes has been pushing modern geometry with its 27.5in and 29in hardtails. 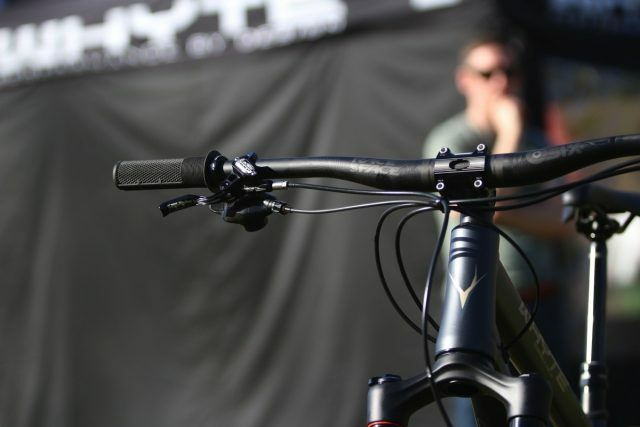 ST: And this stealthy hardtail of yours – what’s the dealio? NH: I’ve been riding bikes for about 25 years now, and am head over heels with everything to do with cycling. 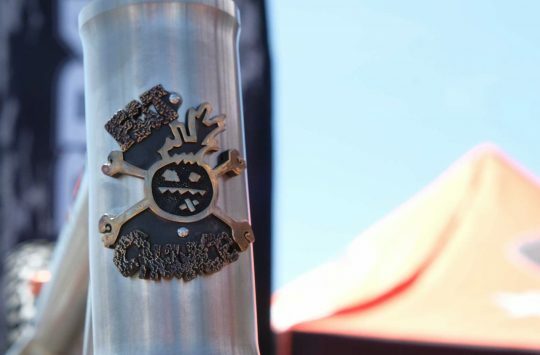 Mountain biking is my main passion, but I enjoy all aspects of cycling. 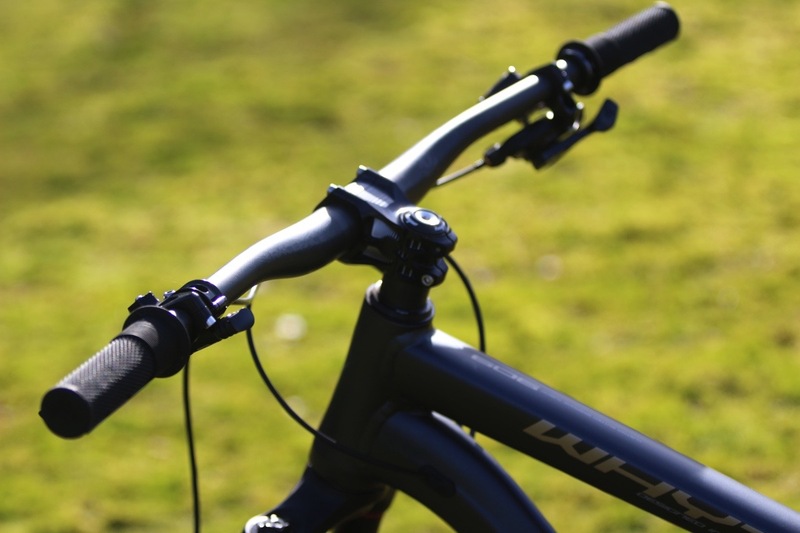 The frame is a 2017 Whyte 909 Trail Hardtail, size Large. I’m 6ft tall and it fits perfectly. No carbon here, just tough hydro formed 6061 T6 alloy tubing. 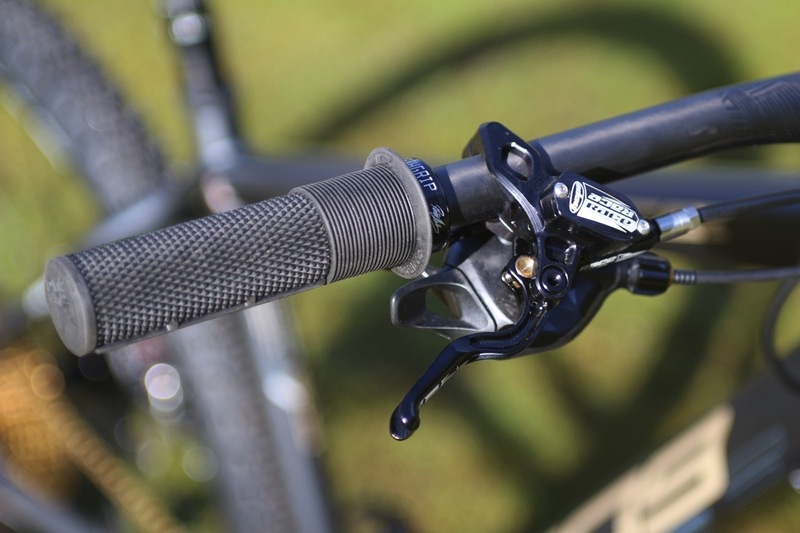 ST: So why a hardtail? Why did you choose this frame? NH: I chose to build this bike for a couple of reasons. I spend most of my time on a mixture of bikes but mostly on suspension bikes like the T-130 and G-160 for training and racing, but have always wanted to build up a bling hardtail for local rides and winter training. This year Whyte produced the 909 hardtail in a black frame with some gold decals, and i thought it would be a neat idea to build up one of those frames with black parts and a gold SRAM XX1 Eagle groupset (Ed: As you do!). Short seat tubes on the Whyte 909 frames allow for longer dropper posts. So I got hold of a frame, which is not normally available, and got to work building my dream hardtail with kit I knew would be a good mixture of bling and durability. For me, that meant opting for a Hope Pro4 wheelset, Hope brakes and finishing kit, a SRAM XX1 Eagle 12-speed groupset, a 130mm travel RockShox Pike fork, a 150mm Reverb, a very, very lightweight carbon Fizik Gobi saddle and RaceFace SixC bars. Plus a set of trusty Maxxis tyres. ST: Nice! Can you tell us a bit about your suspension setup? Are you a hard ‘n’ fast man, or more soft ‘n’ slow? 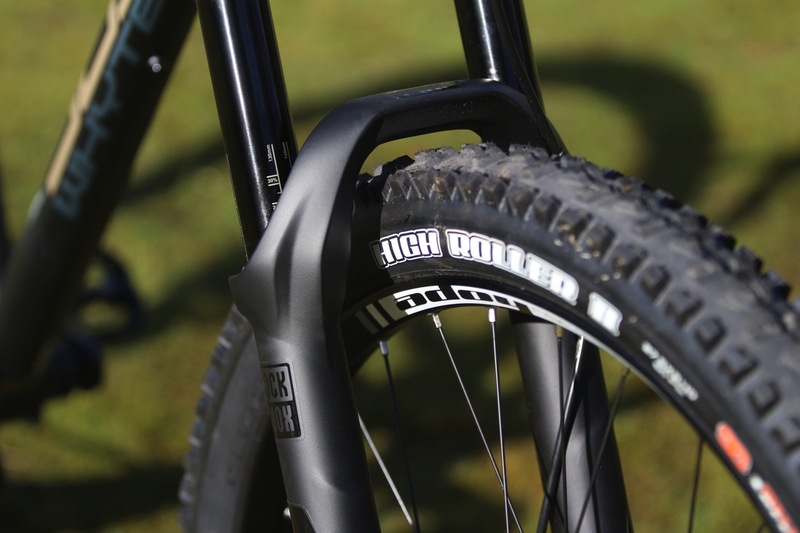 NH: I am unashamedly a massive fan of Rockshox forks, so for this build the obvious choice was the trusty Rockshox Pike RC3 130mm fork. Set up wise I like my forks a little on the firm side with about 75 psi and 2 tokens with the rebound more towards the faster side. Again that’s more of a personal preference as I’m usually riding quite fast and rocky terrain. 130mm travel RockShox Pike RCT3 forks. 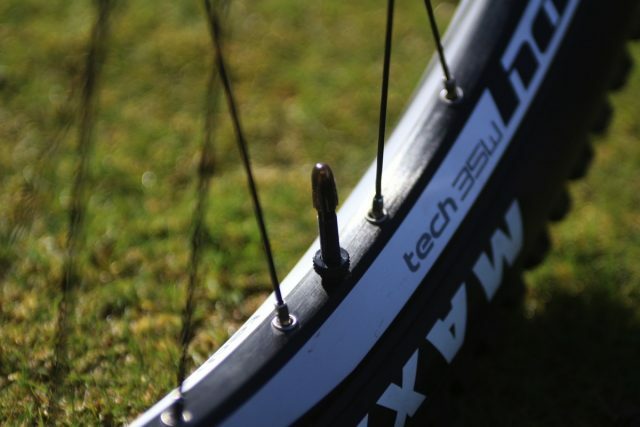 ST: What about other setup preferences like tyre choice, tyre pressure, bar width and such? NH: Setup wise, the beauty of a custom build is that I’ve been able to spec it exactly for my needs. The obvious choice for rubber was Maxxis, with a High Roller 2.4in EXO tubeless up front run at 25psi, and for the dry conditions of late, a Maxxis Minion SS 2.3in on the rear for super fast rolling run at 28psi, plus running them on the new Hope 35W rims really opened up the tyre width for maximum control. 2.3in Maxxis rubber all round. Race Face Carbon 35mm SIXC bars cut down to 780mm fitted to a 50mm Hope AM Stem. 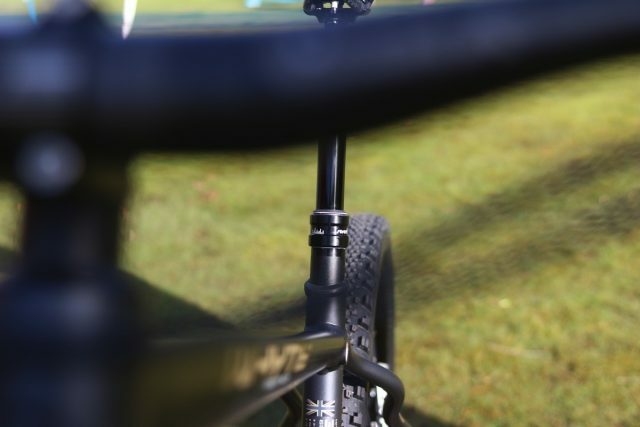 I also opted to fit a longer 150mm travel Rockshox Reverb, which has been really good for getting the saddle right out of the way on steeper descents. 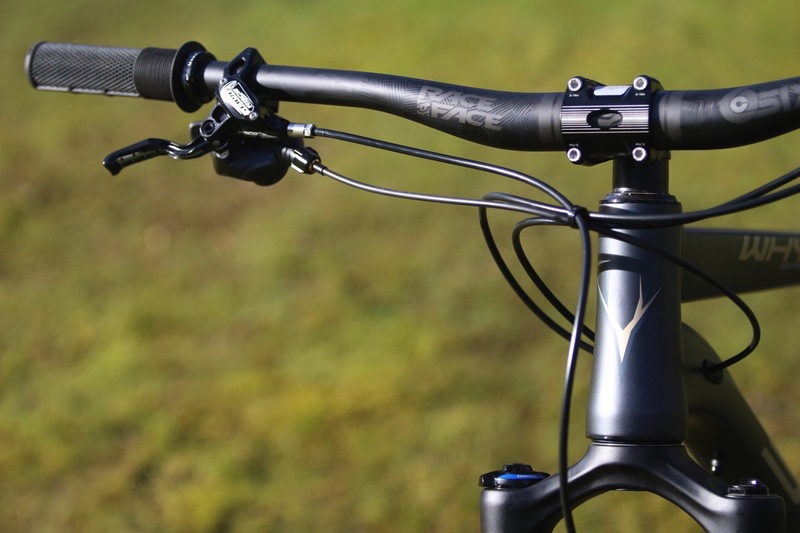 780mm wide Race Face SixC carbon handlebars. ST: Any particularly special parts on your build? 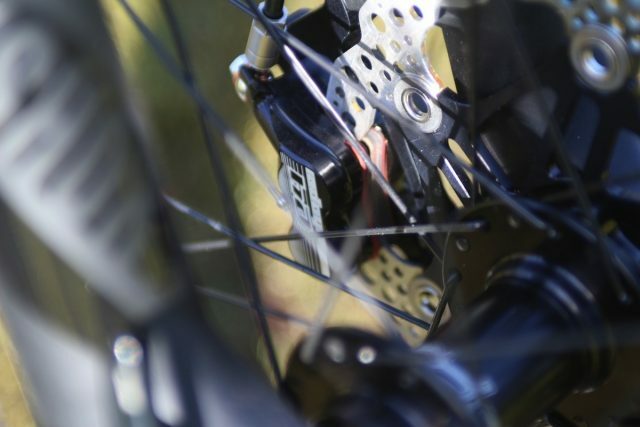 NH: I’ve gone for Hope Race Evo E4 brakes with 180mm Hope Floating Rotors front and rear, which for me offers the right mix of 4-pot braking power with a nice lightweight lever. Then there’s the added bonus of a titanium bolt kit that saves a few extra grams even though light weight wasn’t the main main of the build. But every little bit helps, or at least, it does in my mind! Carbon saddle rails on the 155g Fizik Gobi saddle. Light! 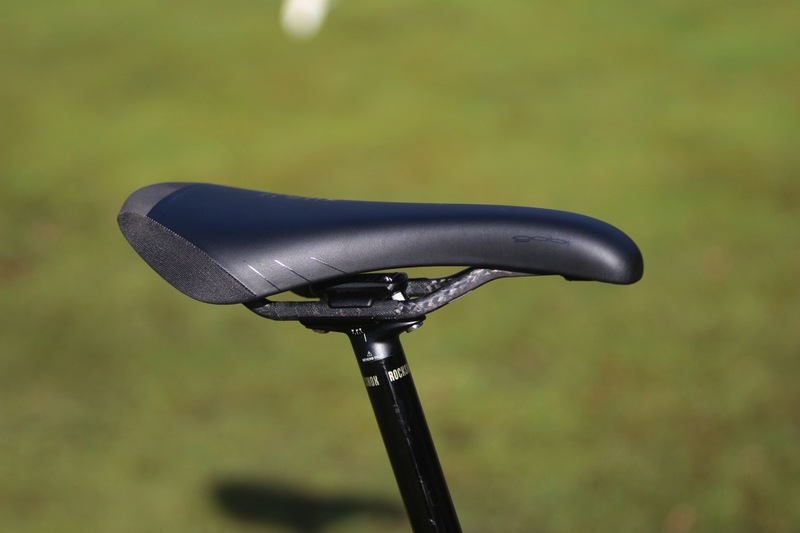 I have always been a fan of the Fizik Gobi saddle, so when I spotted Fizik do a bling carbon railed M1 it had to go on the build – no ifs or buts. Recently my go to grips have been the DMR Deathgrip in a slim grip with a soft compound, so again this was an easy choice for the build. Tidy 1x cockpit with an under-the-bar mounted Reverb remote. 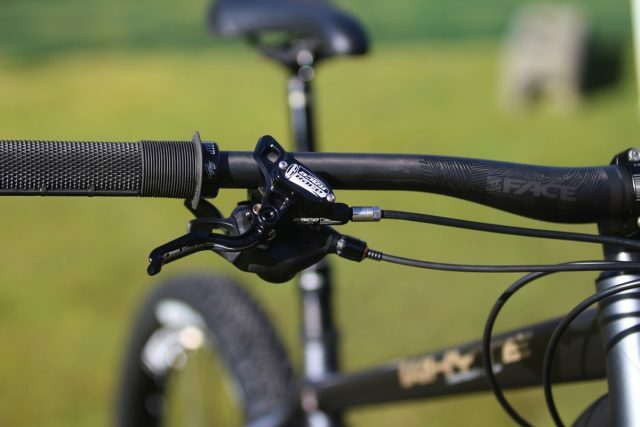 ST: Are there any custom or specific setup tricks you use for your bike? NH: I haven’t use any specific set up tricks really, just proven trusted kit that I know will be reliable for lots of riding in a mixture of conditions and trails. 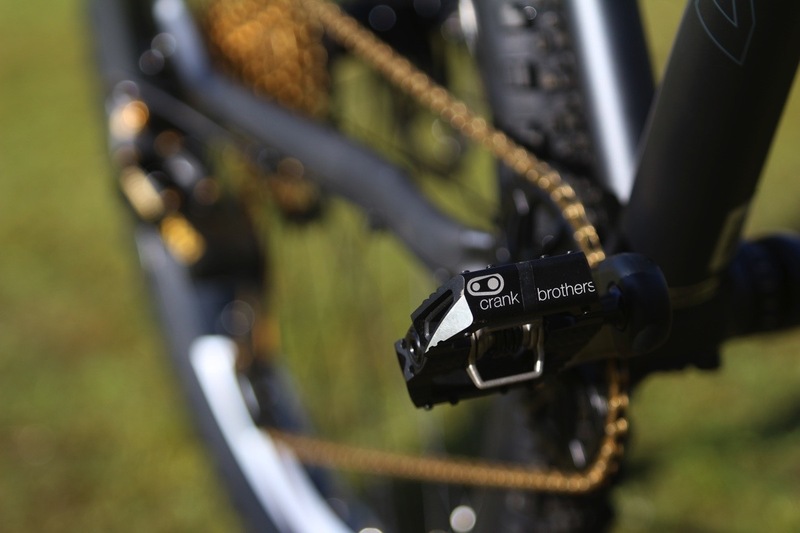 Neil was originally using Crank Brothers Mallet E pedals. He’s switched to DMR V-Twins since we caught him at Vallelujah. ST: And what would you change about it? Have you got any further upgrades planned? NH: The only thing I would change on the bike is the rear tyre for less dustier conditions, opting probably for a Maxxis Aggressor tyre. 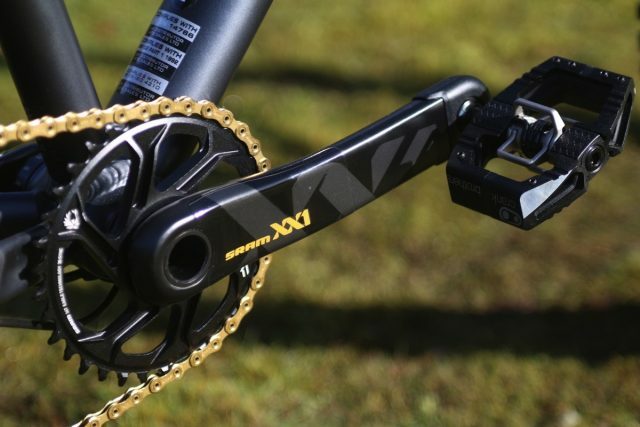 I have recently swapped the Crank brother Mallet E pedals for the new DMR V-Twin pedals as I run another pair of these on my other bike, so that keeps the shoe/cleat combination consistent between my bikes. 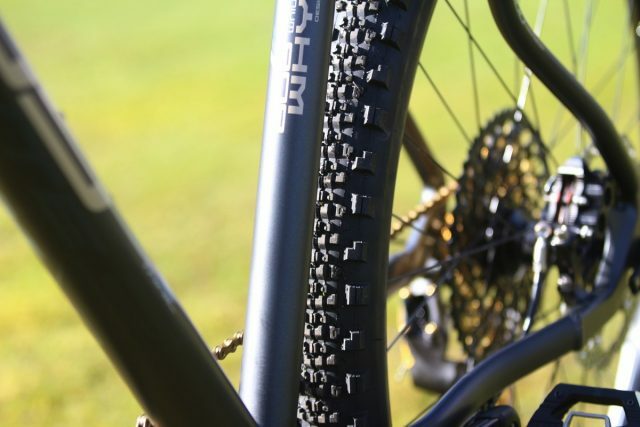 Fast-rolling Maxxis Minion SS rear tyre. ST: Most importantly (and we know you’re a little biased), how does it ride? NH: This bike always seems to surprise me with just how fast and how well it manages techy trails. It’s got a 66.5° head angle and a long and low frame design, so it feels super stable over rough rocky ground, which is what I like to ride. It took me a couple of rides to get back to the feel of a hardtail after spending so many years on full suspension bikes, but once I got used to not having any rear suspension again it flies! I’ve actually nicknamed it “the hooligan hardtail” because it’s so fast and such good fun to ride! British made Hope Race Evo E4 brakes. 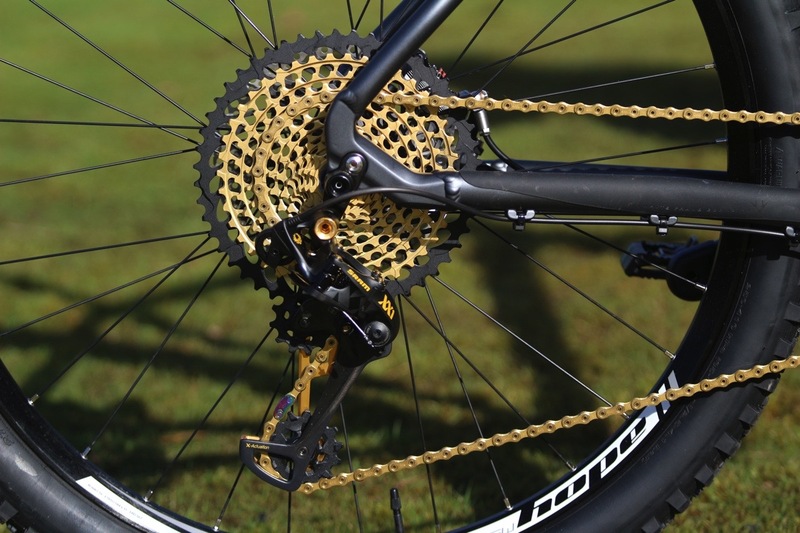 ST: Is this bike destined to race against the clock? Or is it simply a fun machine? NH: It’s a fun machine that’s for sure! 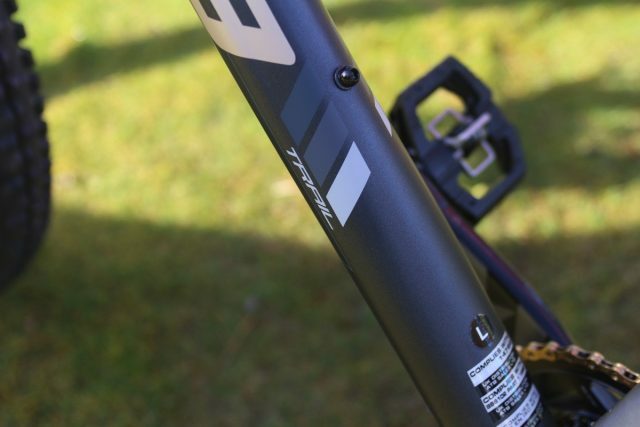 I haven’t raced the bike and I’m not really intending to, as I only race on stock Whyte bikes like the G-160 Works and T 130 Works (Ed: Lucky for some eh?). This bike is just a personal project for training and winter rides, mostly around my home in north Wales. 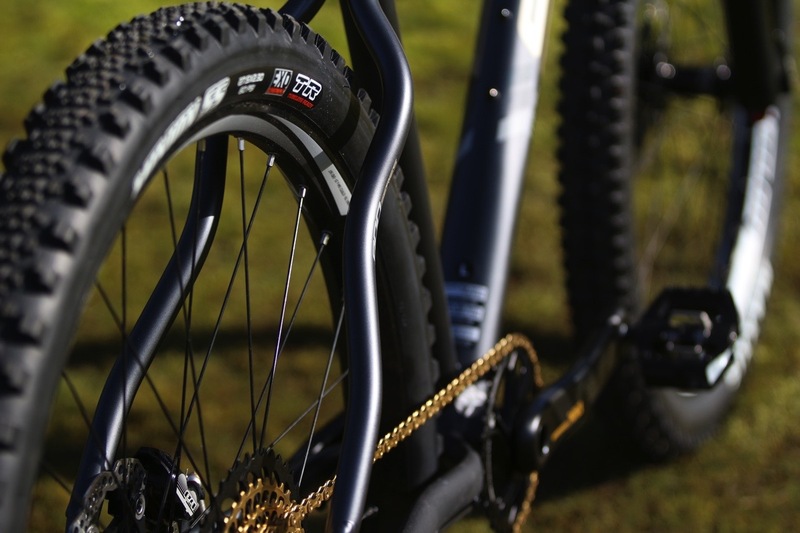 Neil stands at 6ft tall, and is riding the Large sized Whyte 909 hardtail. Half-waffle design with a slim inboard flange. 175mm SRAM XX1 Eagle carbon crank arms, and a 34T X-SYNC 2 chainring. Not sure our eyes can tire of that swanky gold cassette. 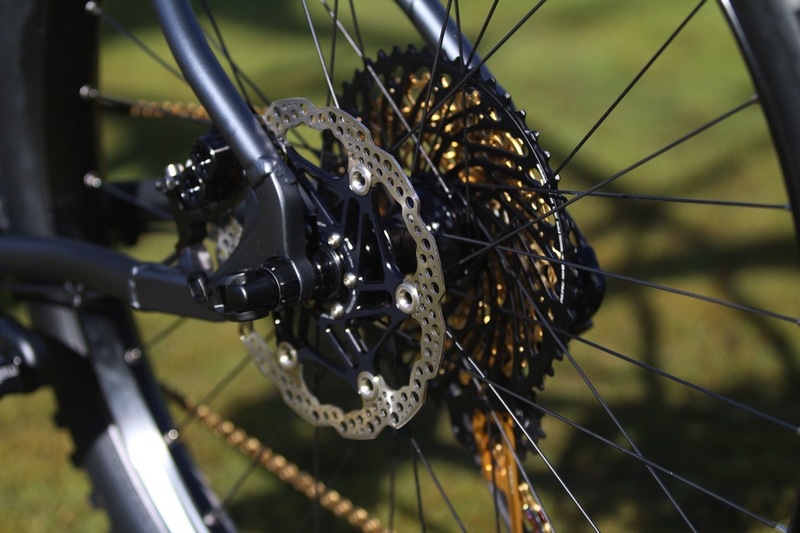 Boost 148x12mm dropouts and tidy direct-mount rear brake calliper. 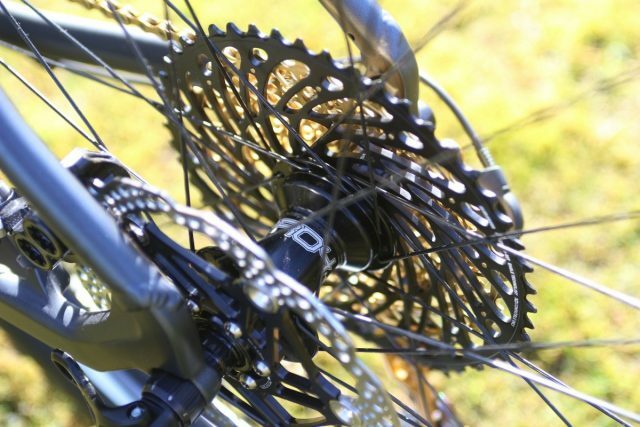 Hope Pro4 hubs keeping the buzzzzzz. Generously wide Tech 35W rims from Hope. 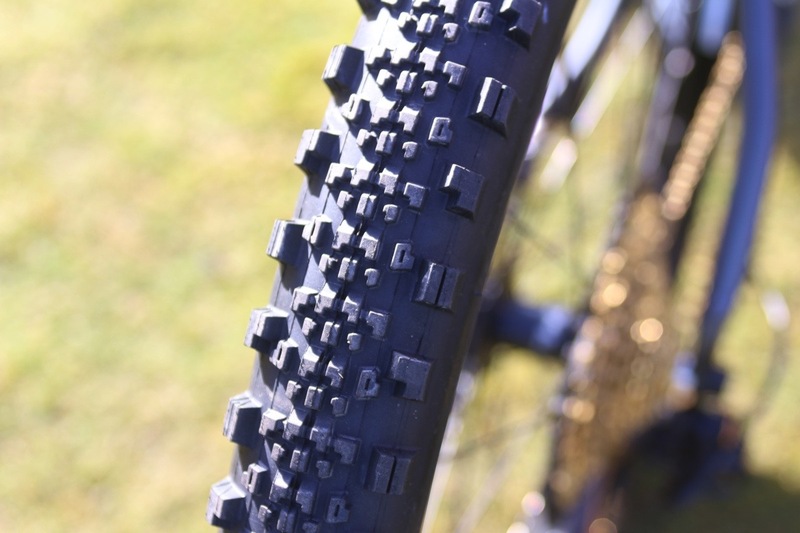 For dry conditions, the Minion SS tyre is fast! 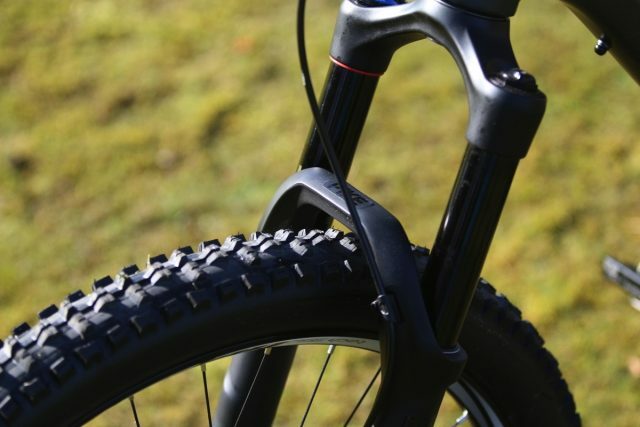 Those shapely seat stays offer more tyre and mud clearance, while taking some of the sting out of the trail. 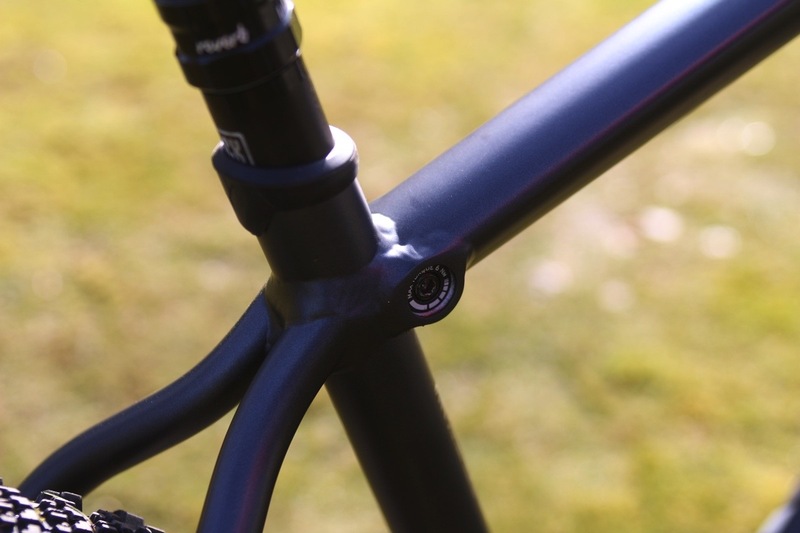 Discreet bolt-up wedge for securing the seatpost. 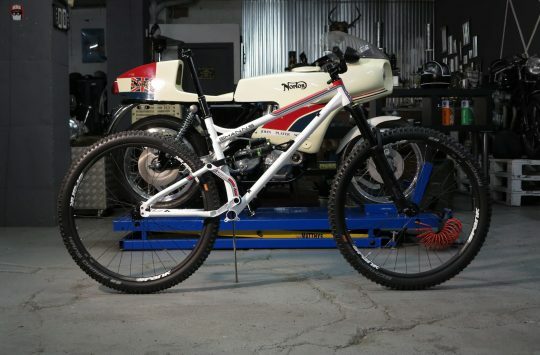 Neil uses his 909 hardtail as a training fun bike, while he races on a T-130 and G-160. Did the same with my T129S but hard way. Bought complete bike, stripped it down to bare frameset with cockpit, seatpost and forks and built it back as wanted. The number of stw forum users who have wanted to get a Whyte frame only is quite large. 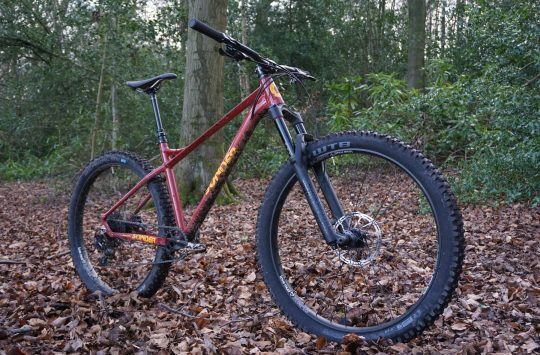 They would probably sell lots, even if just the hardtail. Frustrating.